Today is another Ask Me Anything episode. Robin from Ottawa asks. This is a great question. It’s one that I get frequently. In fact, if I do an updated edition of Magnetic Capital, I will certainly dedicate an entire chapter to answering that question. 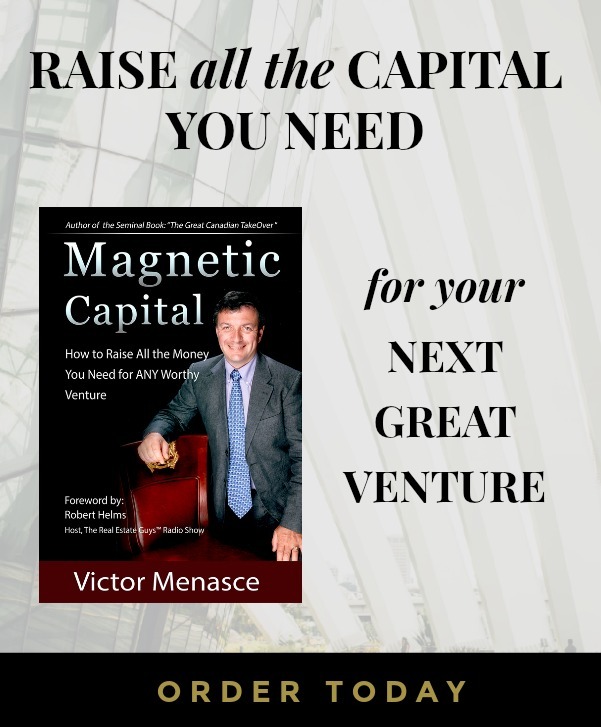 Let’s go back to the fundamentals of raising capital that are clearly outlined in my book Magnetic Capital. If you don’t have a perfect fit between the goals for the money and the goals for your project, it’s not going to work. The main thing to remember about high net worth people is that they are people too. They have different perspectives and different values because of their circumstances. They recognize that their most valuable resource is not money, but time. As a result, high net worth people tend to be much more time conscious than the average person. They don’t want to develop relationships with people who want them just for their money. They don’t want to be used. They also don’t want to waste time with people who can’t help them with their mission. High net worth people are slow to develop relationships. High net worth people know how to make money. They know how hard it is, and they don’t want to have to go back and do the hard work to make it back. As a result, they are much more focused on safety and preservation of capital. You will face a lot of scrutiny and due diligence from high net worth people. These relationships take time to develop and do not happen quickly. In terms of how I build these relationships, it comes down to one simple characteristic. 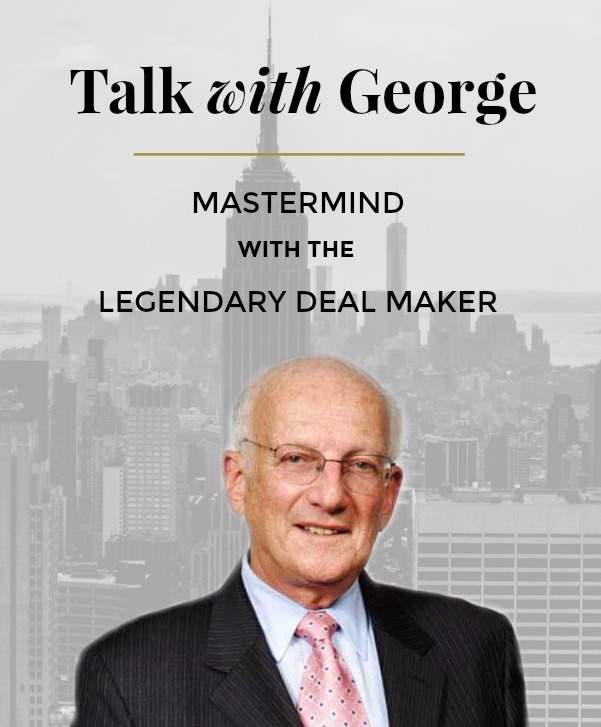 I approach high net worth people as peers. I approach them with confidence and with humility. I work quickly to establish rapport with them by showing them that I understand their world, but not in a presumptive way. That’s a subtle but important distinction. One thing that helps me in that regard is that I’m incredibly well traveled. I’ve been to a lot of places in the world and chances are good that I can start up a conversation about somewhere we’ve both explored. That’s a pretty safe bet. I do my research and find out as much as I can about a person before I meet them. We probably know some people in common. People who don’t have money look at the ultra-wealthy as having it made, as if they don’t have a single care in the world. Nothing could be further from the truth. They too are constantly learning, evolving, developing, figuring things out. The ultra-wealthy circulate in a community that spills opportunity at every turn. These people are inundated with opportunity. If they don’t focus, they will become time and energy bankrupt due to 1000 inquiries. They have to become very good at saying no. It’s a matter of survival. The key to breaking through that barrier is to show that you’re mindful of their time and energy management challenge. If you have a phone call with them, keep it to 10-15 minutes, no more. Communicate in a way that pierces through the noise and gets to the heart of the matter. It won’t be rude. They will respect you for it. You’re speaking their language. That doesn’t mean skipping steps in the relationship building process. That’s creepy. It means communicating in a concise and insightful way.